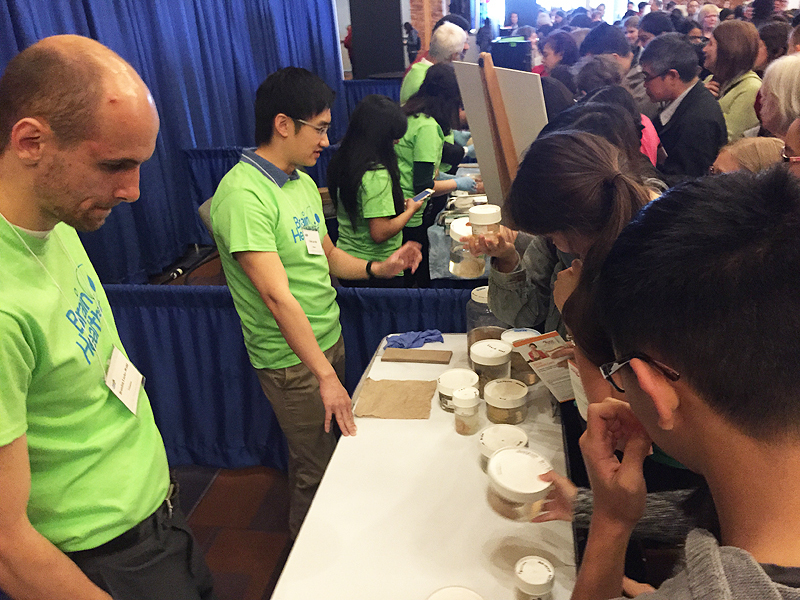 It was the day of the Brain Health Fair, hosted by American Academy of Neurology (AAN). 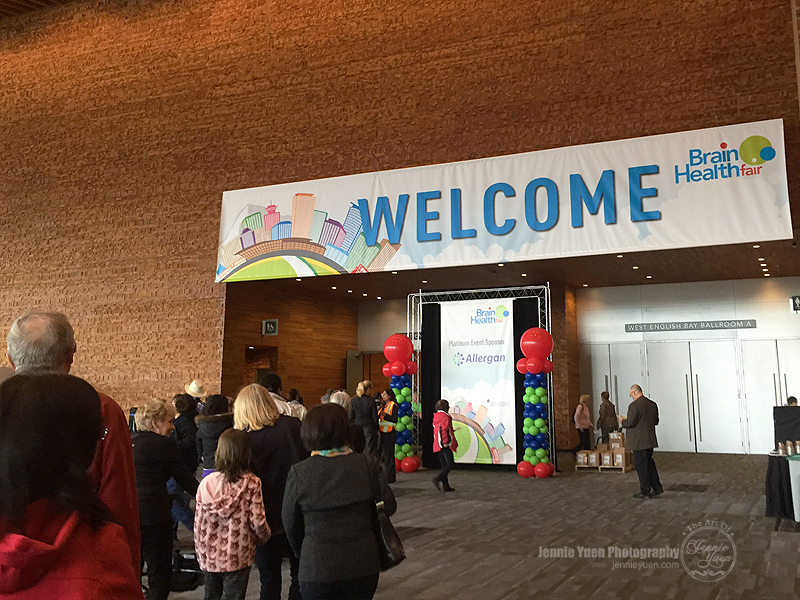 It was held in downtown at the Vancouver Convention Centre. 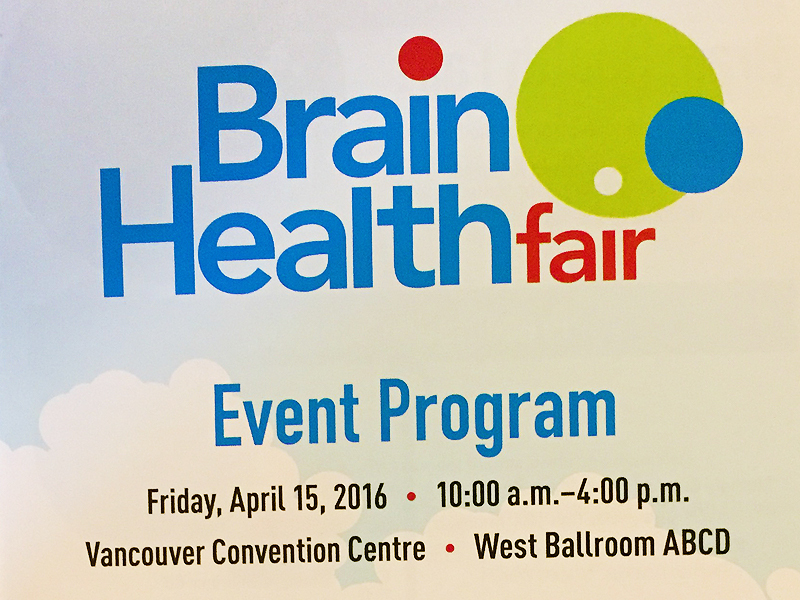 I registered and brought my kids along to see this free event to learn about brain health and see what activities and prizes they offer. What I didn't expect that it would be so crowded. 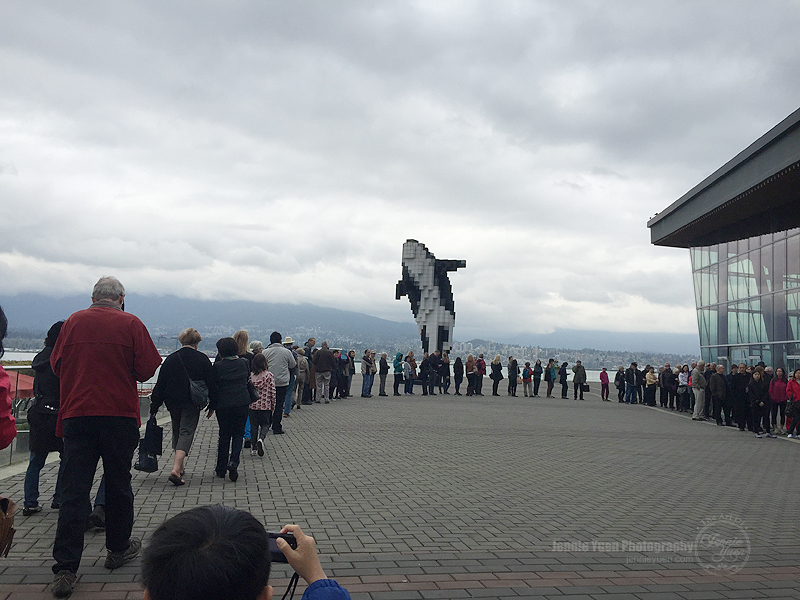 The kids and I took transit and skytrain to downtown near Waterfront Station. Finding parking in downtown Vancouver is almost impossible and there is always traffic. 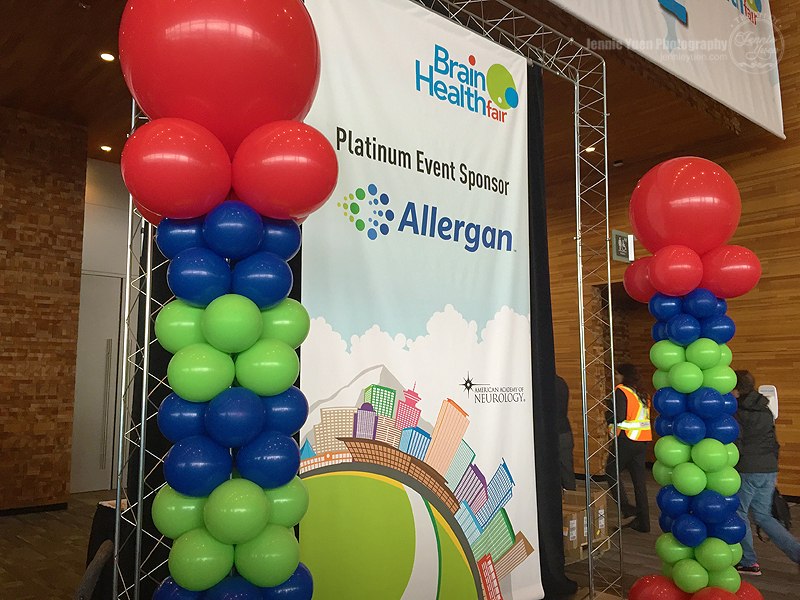 Because the Convention Centre is quite big, there were information booths, posters, and people with signs to direct us where to go for the Brain Health Fair, so that was really convenient. 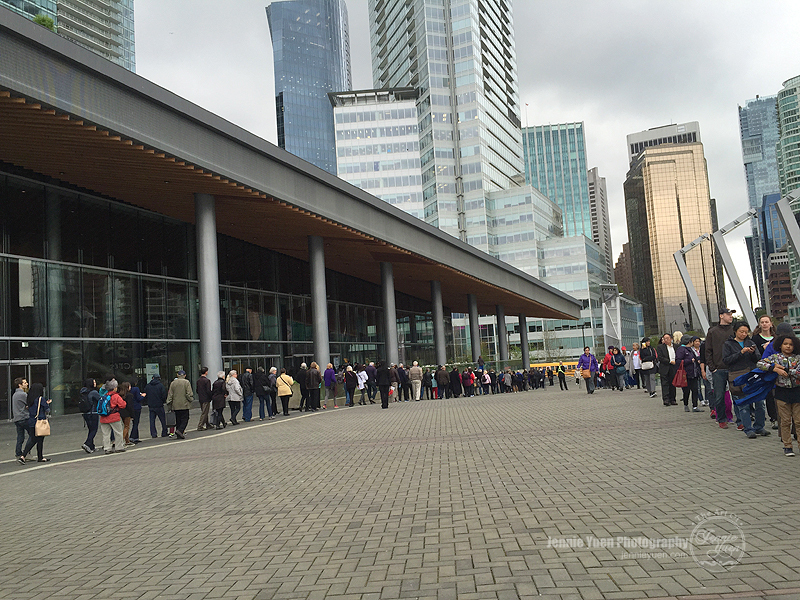 When we got to the entrance, there was a huge line up around 10am (the time when doors open to the public). It wasn't too long of a wait as the line was moving along. It was a bit crazy when we went inside. The fair had bike helmet giveaways and you can claim one if you visit at least 3 of the booths and get their stamps/signatures on the list at the back of the program guide. The kids enjoyed some of the stuff and crafts, but they quickly got bored because of the crowd. They didn't get a chance to see everything and the free bike helmet giveaways were all gone within an hour. It's funny that the crowd faded away afterwards and the room became so quiet. I wonder if people just got their free stuff and then left. My kids and I were a little disappointed. 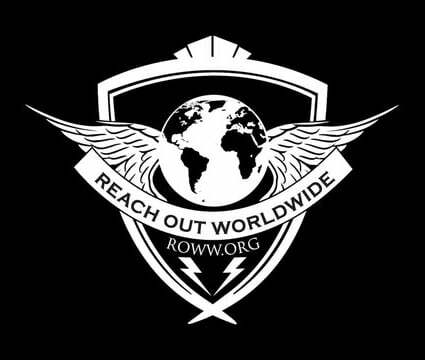 The organizers should've either given to the first few hundred people or to those who registered to the event with their name. 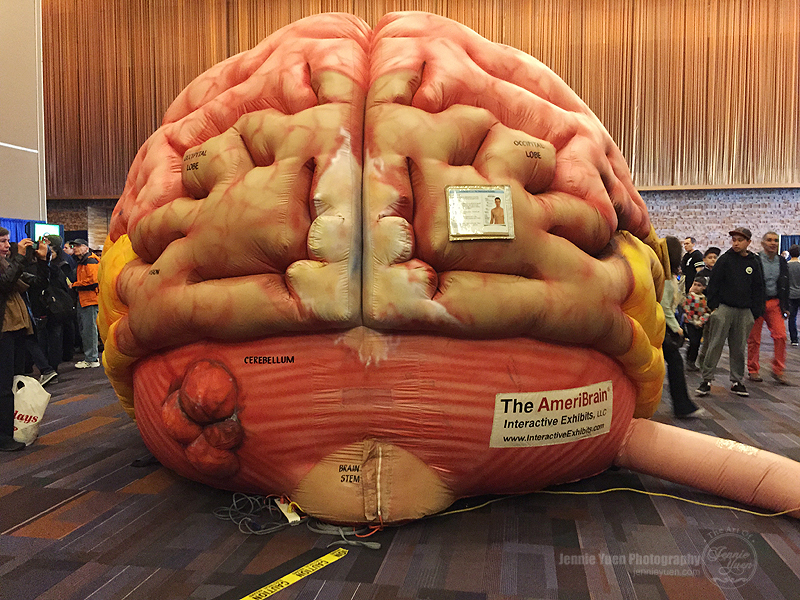 The exhibit includes real human brains as well as animal brains for attendees to view. It was fascinating to see it. 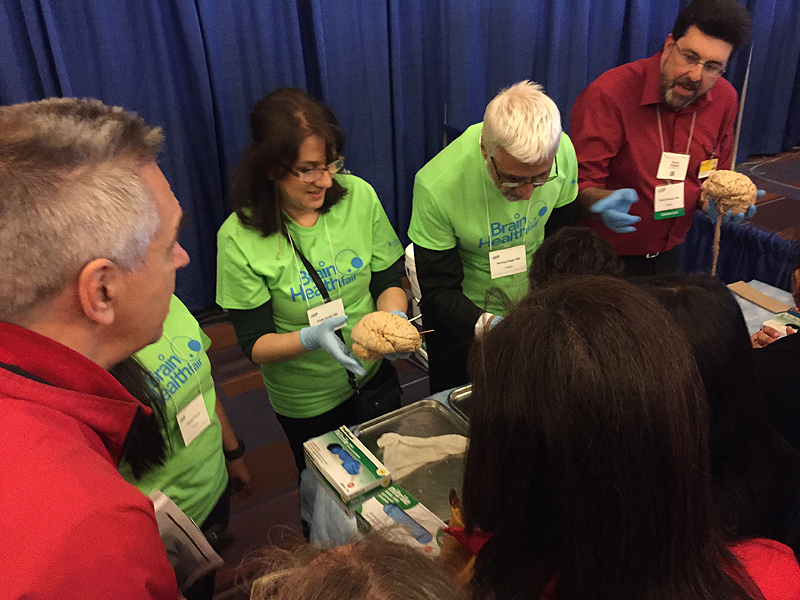 (Left photo shows exhibitors holding human brains. Right photo shows jars of different animal brains). 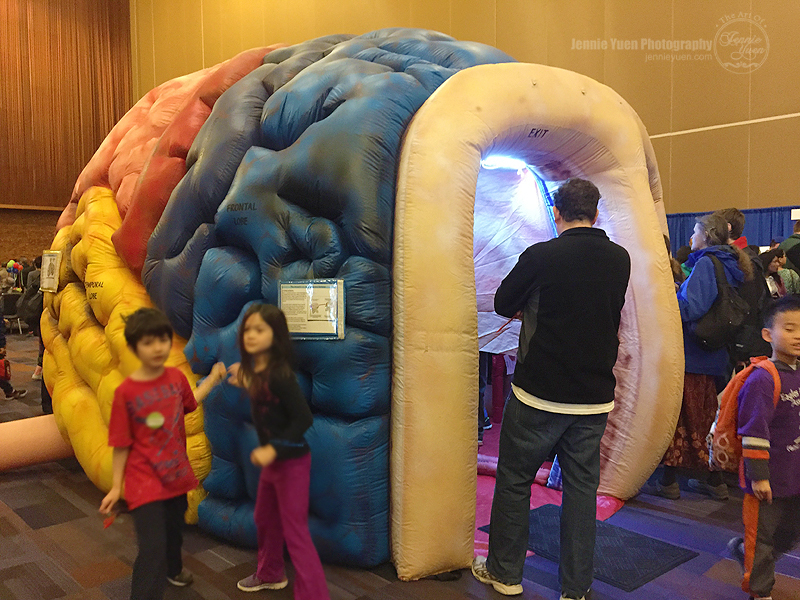 One of the popular activity was the walk-through inflatable, interactive brain. We didn't stay very long after we found out that the helmets were all given away within the first hour (even though we had the exhibitors sign and marked the list). 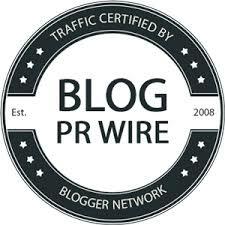 The presentation was well prepared and presented and sound was very clear. After my first experience, I thought it was quite overwhelming. Would I go again, if you ask me? I'm not sure, but maybe without my kids.